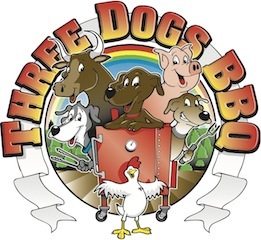 This past weekend, Three Dogs BBQ packed up the road show and drove up to Rochester, NY to take part in the festivities at the Roc City Ribfest. There are two days of competitions at this festival. On Saturday, the World Bacon Championship, a sanctioned NEBS grilling competition, and the Roc City Rib Cookoff, a non-sanctioned charity rib cook off, were held at the Genessee Valley Park. All 86 professional teams are entered into the rib contest and we were joined by 30 backyard teams, 116 total teams, to determine the best rib in Rochester. 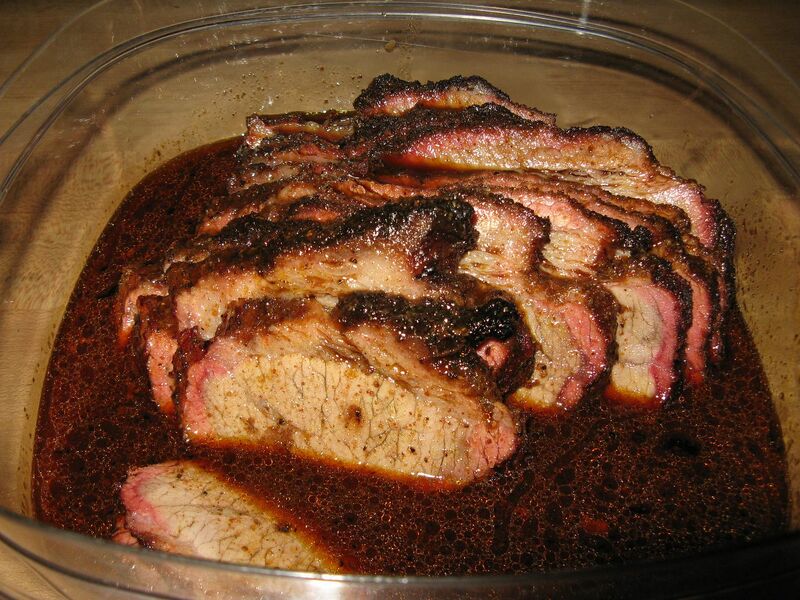 The rules and scoring system is KCBS, but the event is non-sanctioned. Each backyard team pays $40 to enter and the public can pay to judge for $20. All of the money raised for the rib cook off is donated to two charitable foundations in the Rochester area: Rochester Childrens Hospital and The Ronald McDonald House. 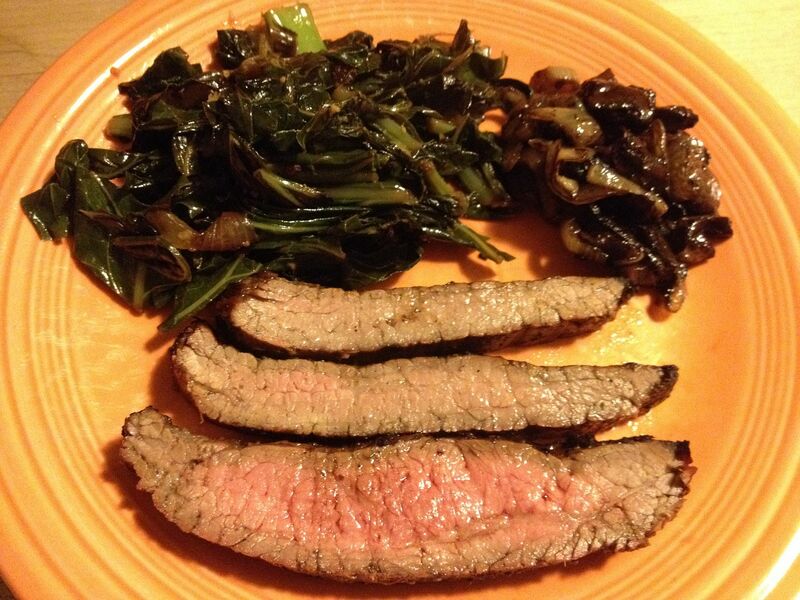 If you follow this blog, you know that ribs have been our nemesis over the years. But, over the winter, we have put a lot of time into improving our rib scores. Our prior entries have scored us a 74th and a 47th place. So, this was our first try with the revamped recipe. The only thing we did differently was we cooked our ribs 30 minutes more in foil than usual. Other than that, the recipe was the same that has been posted here. Why longer in foil? 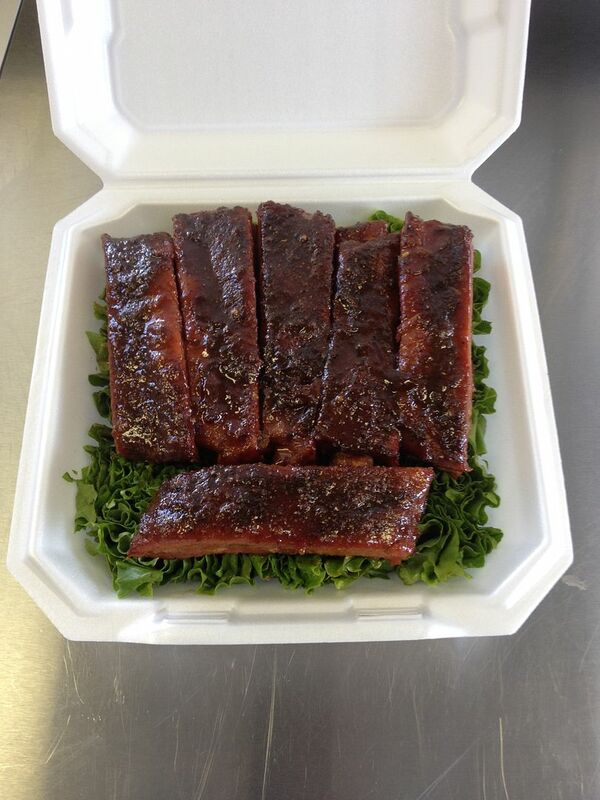 I was told that for public judging, the judges prefer a rib with fall off the bone meat. Remember, KCBS judges want their ribs bite through with a little tug. So, that is what we did. Nice color. Good shine. How were they? Well, I give you the perfect rib. It wasn't a perfect 180. We scored a 176.5716. But, on this day, with these judges, at this event, it was good enough to be be perfect. 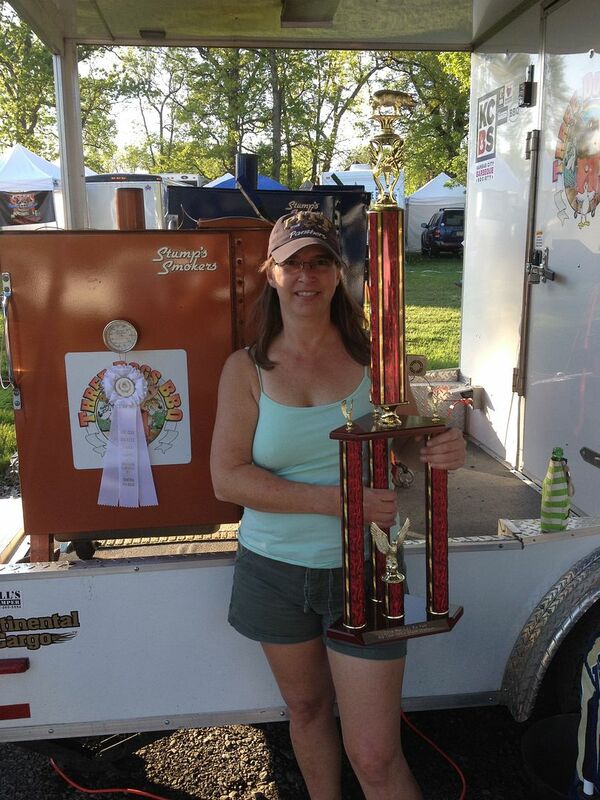 We are very happy and proud to say the Three Dogs BBQ are the Roc City Ribfest Rib Cook Off Grand Champions. It is nice to know that hard work, tips from your friends (Chilebrown and Hutch, you have a little bit of this trophy), and patience can pay off in the long run. Congrats to the Reserve Grand Champions, Shortsville Smokers. You guys are a class act and fun to be around. Also, the Rochester Childrens Hospital and Ronald McDonald House are winners as well. As has been tradition in the past, the winning teams donated back their prize money for these great causes. Finally, congrats to all of the participants of the Roc City Rib Cook Off. We will see all of you next year. Thanks Gus. This made our weekend for sure.